Anger is a controlled debilitating experience that can affect everyone. When it comes to the impact stress can create in a home environment it may even affect children. Understanding what stress is and how it manifests and explodes as anger will therefore enable anyone, dealing with stressful situations or experiences, to be better equipped to control their response. For some people anger is an instant response born out of frustration at having to deal with a situation, event, person, or experience that brings with them difficult communication or resolutions problems. Other individuals may find that they tend to store up frustrations until the anger can no longer be controlled and held at bay. Whatever experience you are familiar with you will undoubtedly experience the rage, confusion, escalation and vent that comes with this stressful condition. Using the skills you have acquired through your own personal life experiences will help you deal with anger. After all anger is simply a normal, and necessary, emotion that can arise in any everyday situation. Whilst it is useful to vent anger expressing this as yelling, showing, throwing things or pounding objects can not only cause distress to others but also limit the angry person’s ability to resolve the frustration. 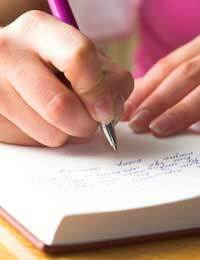 Writing your frustrations down has an instant calming effect on someone combating anger. Although the initial thought may make you feel like increasing your rage once you begin to communicate your message – either in writing or typing – a sense of inner calm will take command. This is because you have a channel of communication that is allowing you to freely express what it is you are feeling. The thoughts that you express, in written words, will therefore remove the feeling of anger from your mind and body. Your social skills also play a big part in how you combat anger. If you are naturally an expressive person your anger may be louder and more dramatic than someone who is more aware of the impact this stressful explosion creates around other people. Your social skills will therefore either help or hinder your ability to combat anger outbursts, but understanding which skills are best used will help you focus on these when required. It is important to identify what triggers anger. The cause of anger may not only be a stressful situation or encounter with a difficult person. Anger and frustration may also manifest because of your environment. Recognising what triggers this response will help you use your life skills to improve conditions. Aim to widen your vocabulary in reference to expressing feelings. This will help others understand why you are reacting the way you are, but also encourage you to express yourself in a more socially acceptable manner. Whenever possible ensure the environment you spend time in is conducive to creating a relaxed atmosphere. This will impact on your overall mood. Reduce inhibitions by encouraging others to freely express and share thoughts and emotions. This creates an open and safe space for combating anger. Use moments of reflection to help you acknowledge and understand your feelings and emotions more fully. Using music to calm feelings is also an excellent idea.